I’ve been having lots of fun with some little linocut projects. Owls and Hawks mostly plus a few dinosaur sort of creatures. 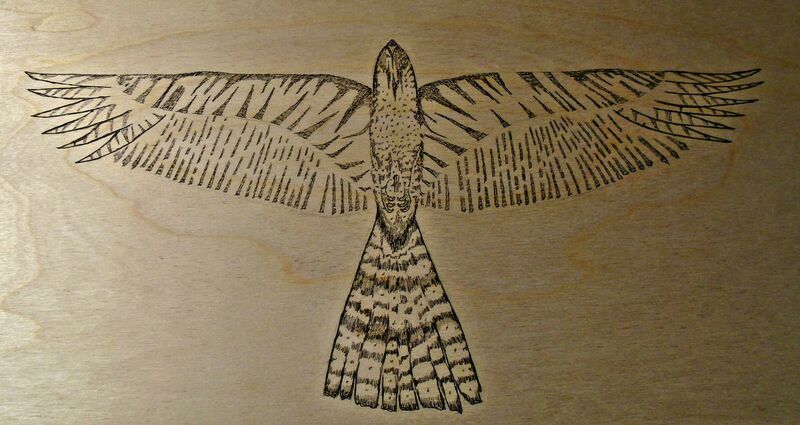 Its a bunch of fun, I really like the carving of the linoleum. It’s a slow but rewarding process. And so far I’ve kept the blade out of places it shouldn’t go, all 10 fingers still attached. 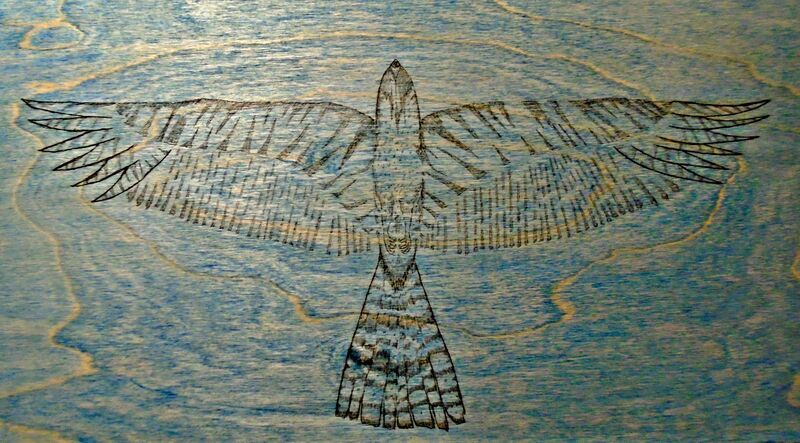 And sometimes I stay up past midnight to finish a blue hawk. The Talking Heads fill my headphones and smiles ensue. 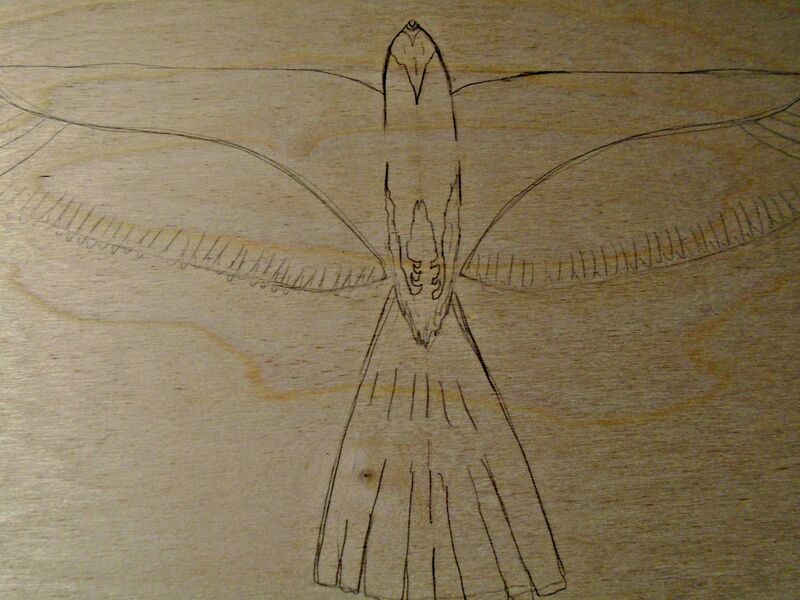 Penciled out on a 1’x2′ piece of 1/8″ plywood. Rendered in pen in just under three hours. 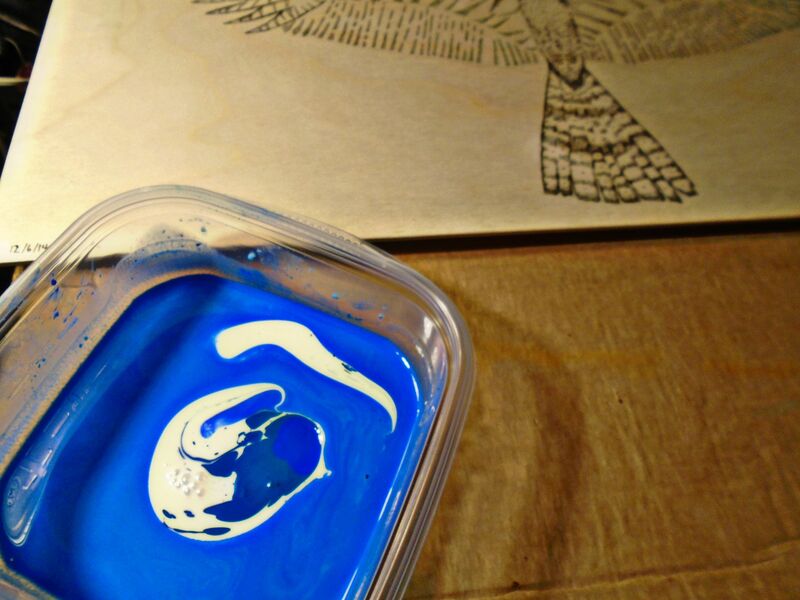 Mixing fluid acrylic blue with a matte medium and a slo-dri fluid retarder. Applied to the wood with scraps of an old t-shirt.